Members of the Ferguson Police Department wear body cameras during a rally Aug. 30, 2014, in Ferguson, Mo. Michael Brown, an unarmed 18-year-old, was shot and killed Aug. 9, 2014, by then-Ferguson Police Officer Darren Wilson. Editor’s note: The Department of Justice issued two reports March 4 regarding its civil rights investigations of Ferguson, Mo. The Department of Justice’s investigation into law-enforcement practices in Ferguson, Mo., is nearly complete, and the full findings could be released to the public as early as this week. From the information that has leaked out, the results of the investigation appear to confirm allegations of long-standing abuses by Ferguson police against the town’s residents. Specifically, the DOJ reportedly found evidence of excessive use of force, rampant racial profiling, as well as an undercurrent of racism that extended beyond the police force and to the local court system. Exaggerations aside, the extreme and systemic nature of these abuses is as close to a modern-day Jim Crow as we may have witnessed in this millennium. That is not to suggest that there are not many other Fergusons across America, but in this case, the findings serve as validation for what many have been saying for decades. The frustrations we saw displayed by Ferguson residents were not simply about Michael Brown’s death, but also about decades of oppression and abuse at the hands of Ferguson police. The DOJ reportedly found that Ferguson police officers routinely used excessive force when dealing with black suspects, even where those suspects ultimately were not guilty of any crime. Justice officials also found that black motorists in Ferguson were far more likely to be stopped and searched, even in cases where no contraband was ultimately recovered. 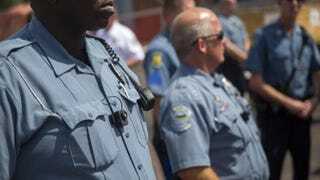 The significance of this sort of racial profiling is multidimensional: Where the police made arrests—even for minor traffic violations—blacks were found to have been held in jail for longer periods than whites, and when tickets or summonses were issued that only furthered the vicious cycle of Ferguson’s municipality funding itself on the backs of its poorest citizens. There are a few possible outcomes resulting from the investigation’s findings. The DOJ could reach a settlement that would provide various forms of injunctive and possibly monetary relief. This would likely include completely revamped training for officers, a revised system and new measures for department oversight and possibly initiatives to increase the number of black officers on the police force. The Justice Department could also decide to sue the Ferguson Police Department over its violations. In either case, the DOJ can afford to be fairly aggressive in the relief it demands because of the highly publicized nature of the investigation and the clear and indisputable nature of its findings. Earlier this week, President Obama met with top law-enforcement officials across the country to discuss the development of new strategies in community policing. Given the nature of the violations in Ferguson and the national conversation about law enforcement in communities of color following the deaths of Ezell Ford, Akai Gurley, Eric Garner and Tamir Rice, the ultimate resolution here will be of significant interest to other cities that are dealing with problems between police and communities of color. This very well may be a wake-up call to those police forces for them to proactively re-examine their own practices to avoid the scrutiny and embarrassment of a federal investigation. If there is any bright spot to be gathered from this investigation, it is the sense that local police are now being policed. Hopefully, this investigation, and its results, functions as a catalyst for real change in the way of not only policy and initiatives, but also actual enforcement to ensure that officers protect and serve rather than harass and abuse.